Love to see all those corallines, too. 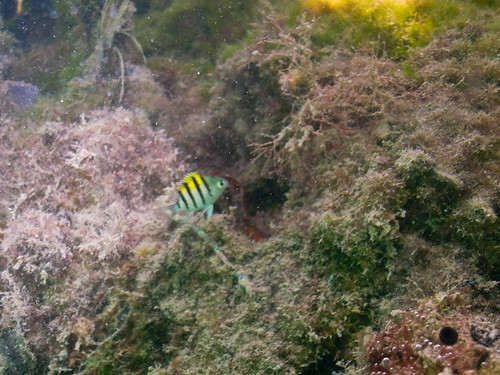 :o) And that bit of Sargassum floating around. I’m with you – I’d need some serious time to explore here. Yes, lot’s of coralline algae too (shame on me!) 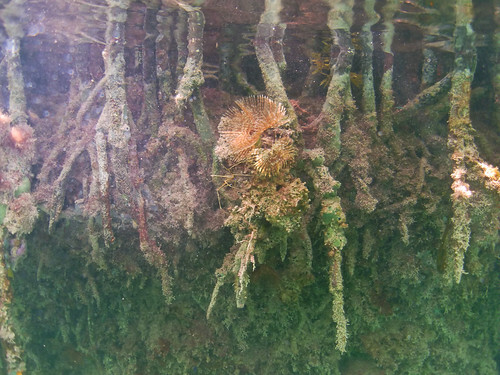 There was actually a fairly large floating mat of Sargassum in one section of the prop roots, looked like it provided enhanced cover for several school masters, juvenile butterfly fish and juvenile sergeant majors. Really interesting seeing them right up under the raft. Now after which I am going to stumble across a post like this and I am going to recall that there extremely are even now useful pages on a web. ^_^. Thanks. Hi, Neat post. There’s a problem together with your website in web explorer, might test this¡K IE nonetheless is the market leader and a large element of other folks will leave out your great writing because of this problem.